When you think of the cuisine of the Crescent City, you’re likely to think of our famous seafood -- boiled spicy or lovingly battered and fried -- overstuffed po-boys, and Cajun favorites like jambalaya, crawfish etouffee and all kinds of gumbo. 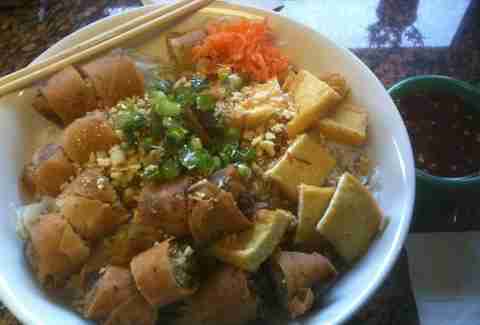 What you’re probably not thinking of is Vietnamese cuisine, and brother, there is a LOT of that in NOLA. The Vietnamese population began growing here as families looking to escape commie oppression following 'nam came to town in the late '70s, and it’s continued to expand over the decades, particularly in Eastern New Orleans (which, weirdly enough, is called the “West Bank” here). This resulted in a strangely recent explosion of restaurants serving pho, bun, and banh mi, which of course New Orleanians refer to as the “Vietnamese po-boy”, with more opening seemingly every week. Here’s a quick guide to some of the best in town. This is the one that hits everyone’s list, and for good reason. It’s actually been around for more than 30yrs, and's still going strong. 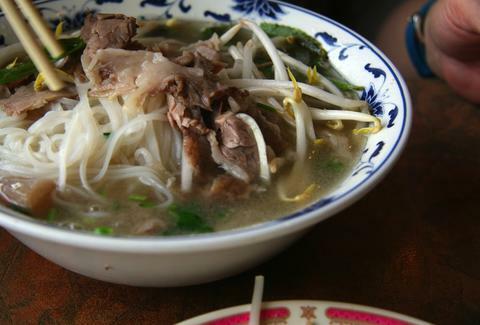 Asian sweet treats are a specialty here, but don’t miss the opportunity to rock the classic pho tai with rare steak. 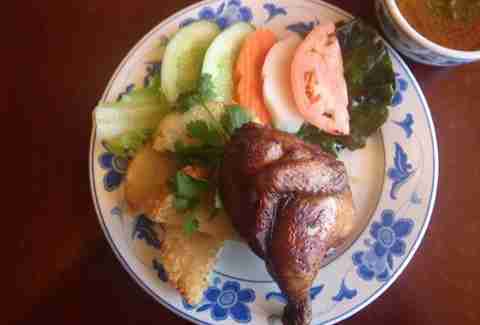 Another beloved favorite of the masses -- especially the local Vietnamese masses -- is Tan Dinh. The menu here is vast, and offers interesting, authentic flavors that are worth your deviating from the more familiar items, like the chicken wings drizzled with garlic butter and served with lime sauce. Dong Phuong is all about the bread. You can’t have a proper banh mi without a perfect little baguette that’s just the right combination of crusty and chewy (very different from traditional New Orleans “French bread”). Obviously, this is where you want to get your “Vietnamese po-boy”, overstuffed with exotic meats and pickles... especially because they cost a whopping $3.25. Sold. 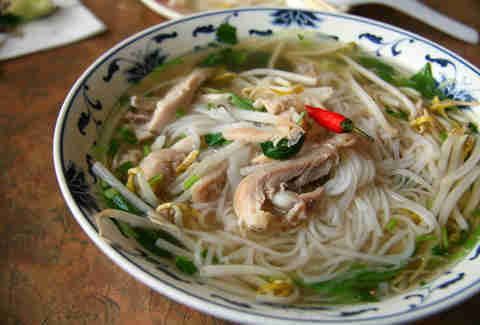 “Pho ga” is the term for Vietnamese chicken-noodle soup. It should go without saying, but if the dish is in the name of the restaurant, that’s probably what you want to be ordering. The chicken broth needs to be experienced to be believed. 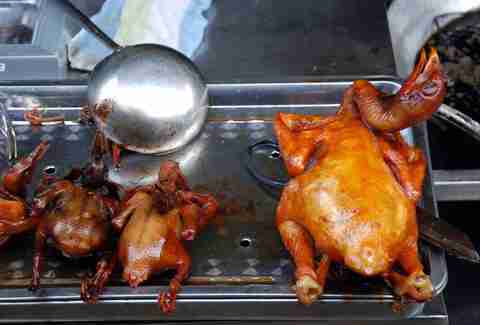 Bonus points for the glorious BBQ'd ducks hanging out in the open for all to see. A relative newcomer to the Viet-scene, Lilly’s quickly became a favorite of celeb Chef Tom Colicchio and his Top Chef cohorts while filming in the Big Easy, and for good reason. Fantastic roasted pork spring rolls and steaming bowls of pho that warm the soul, even when it’s a quadruple-digit temperature outside. Also, the entire staff -- even Lilly -- gets all decked out in black and gold on Saints game days, which is just adorable. Another new addition to the Magazine St Vietnamese food explosion, Magasin tries to keep it on the classy modern side without straying too far from tradition. 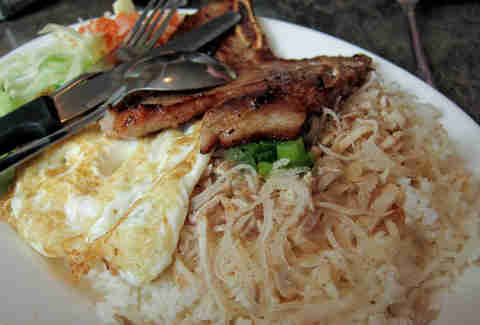 Here’s the place to get the lemongrass chicken com, which is jasmine rice served with a fried egg, topped with peanuts and served with a dipping sauce. 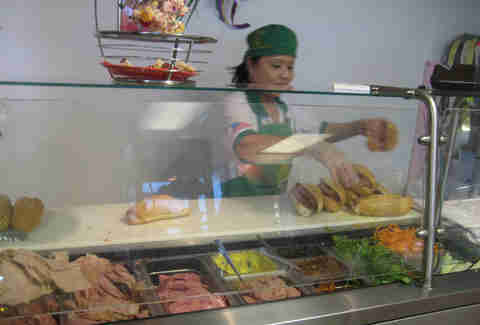 Make sure to add some Chinese sausage for an extra buck fifty. If you need Asian ingredients in NOLA, you’re going to eventually find yourself at the enormous, magical place that is the Hong Kong Market, which can satisfy your desire for everything from durian (if you're into that), to kimchi, to exotic chili pastes, to seven million varieties of instant ramen and so much more. While you’re shopping, don’t miss the chance to hit the in-store grill, where they’ll expertly hack up an entire roasted duck with a giant cleaver for you to bring home. Or, you know, eat on the curb in the parking lot like you know you want to. Michael Gulotta left a position as the chef at John Besh’s flagship restaurant, August, to open up this Mid-City newcomer, which combines the flavors of the Gulf with the flavors of Vietnam (or, as he likes to put it, the Mekong Delta meets the Mississippi Delta). 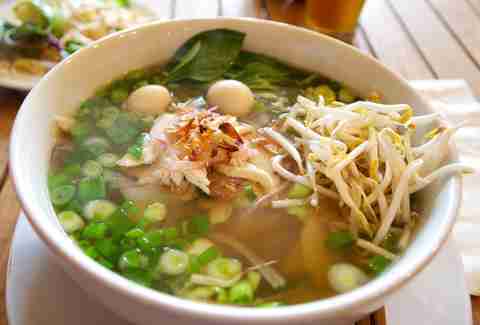 Though not traditional Vietnamese, it’s winning raves right out of the gate, and rightly so. 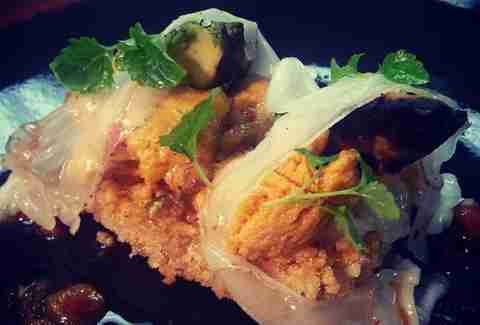 Can you say “crispy, glutinous rice cake topped with grilled avocado, roasted chiles, anchovies, and lardo”? You can, and you will.